Fresh breads are made daily, and the hand tossed wraps and salads are made to order. We take our food very seriously: only using the highest quality, fresh ingredients and combining them making some eclectic creations. Our beer and wine list is designed to complement our menu. We salute small-batch producers of wine and beer and celebrate the craft brews of Florida. Our commitment is to be active in the community, being a part of events and happenings around town. Sponsoring events like the local fishing tournaments, and surfing contests. The surf theme is carried out through the cozy, clean, contemporary pizzeria. Local Artists even showcase their work with some of the proceeds going the local school’s art program. We practice friendly honest and knowledgeable service and promise our customers a friendly and fun experience here at Tavola Pizza. 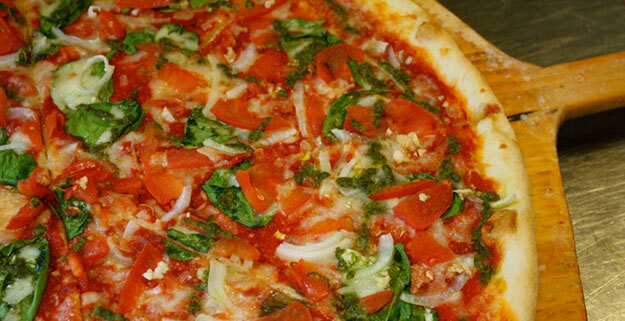 Tavola Pizza is comfortably located in the heart of the community. Our commitment to the guests is to provide a fun, laid back, contemporary place to enjoy hand-mixed and hand-tossed pizza at a great value!